“And musing on Ravenna’s ancient name, I watched the day till, marked with wounds of flame, The turquoise sky to burnished gold was turned. 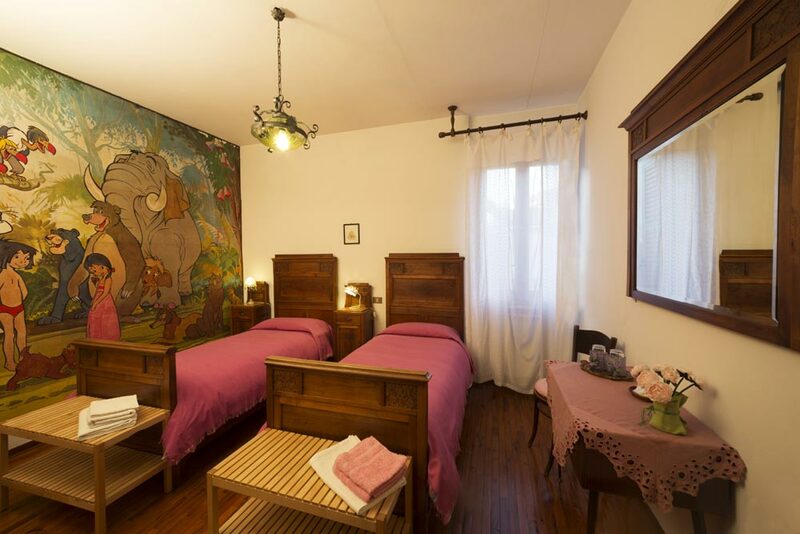 The Galla Placidia B&B is the ideal starting point to discover Ravenna and its magnificent mosaics! 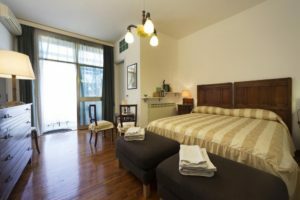 The Galla Placidia B&B occupies two floors of an independent building that was built against the ancient Roman city wall that still partially surrounds the city. It has large, comfortable rooms all equipped with air conditioning, en-suite bathroom with a bathtub and shower and Wi-Fi Internet connection. 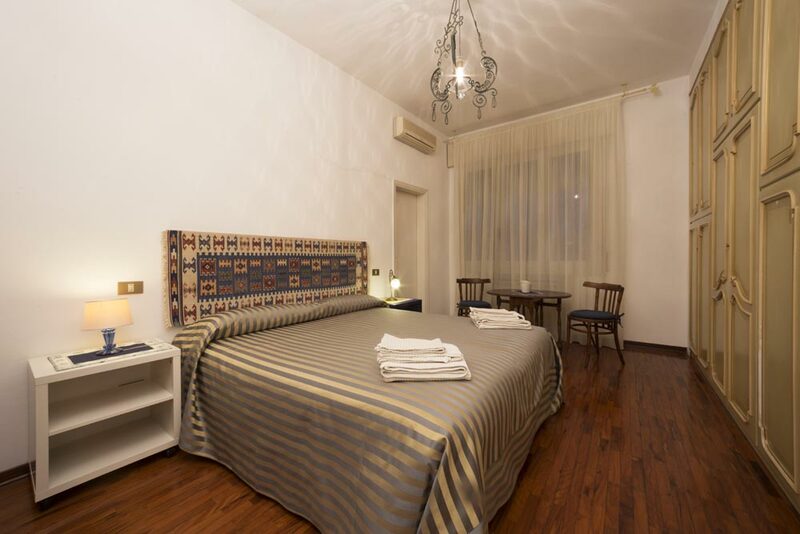 All rooms are furnished in varying tastes and are spacious, very quiet and welcoming. One room has a 20 sq. metre terrace with a lovely view of the old tiled roofs of the historical city centre and the bell tower of the Basilica of San Vitale. The varied and abundant, sweet and savoury buffet breakfast is served in the kitchen/dining room area on the first floor. Furthermore, there is a large terrace that can be used by our guests for relaxing and for smokers. Informative material, luggage deposit, agreed discount deals with the best restaurants in the historical centre and also bathing establishments are available. The hospitality is personally managed by the lady proprietor who is always available to supply information about the city’s events and suggest cultural visits and enogastronomic breaks. Apart from the places of historical interest, also the shopping streets, the best restaurants, theatres, markets, the mosaic school and many other attractions of the city of art can be easily and quickly reached on foot from the Galla Placidia B&B. Furthermore, guests can go on travel excursions into the hills not far from the city, to the city parks, pine woods, to the wetlands of the Delta of the River Po and to the beaches of the Adriatic coast. There are public carparks or pay and display carparks in the immediate vicinity of the B&B.